Premier Doug Ford and his PCs have commissioned a redesign of Ontario's official trillium logo, which was last updated in 2006 under the Liberal government of then-premier Dalton McGuinty. Two government sources say the province's trillium logo — reflecting Ontario's official flower — has been given a makeover. The updated logo will be deployed across all government branding, which means it will appear on provincial websites, signs, advertising and letterhead. The cost of the redesign is $89,000, a senior government official told CBC News. The fee is "less than half of what the Liberals spent on the previous logo," said the official. At the time, the PCs slammed the move as a waste of taxpayer dollars. "Why don't you cancel this boondoggle and instead spend the money on emergency rooms or helping farmers or autistic kids?" the then-leader of the Progressive Conservatives John Tory asked in question period in September 2006. PC MPP Lisa MacLeod, now a member of Ford's cabinet, said it was "ìnsulting" that the Liberal government redesigned the logo. "It has endured through 42 years, seven governments and three major political parties," MacLeod told the Legislature in October 2006. "Yet this premier and this government have had the audacity to waste taxpayer dollars on rebranding the logo of an institution that will be here long after we are gone." The new trillum logo will also appear on Ontario's new licence plates, in addition to the crown that's on the current plate design, the Ford government official said. The source said this is "part of a wider refresh of how Ontario licence plates are produced," including improving the quality of the design. Drivers have reported defective licence plates on which the letters and numbers quickly wore off, forcing the province to order thousands of plates from out of province. Ontario's plates are currently manufactured at provincial correctional centres. 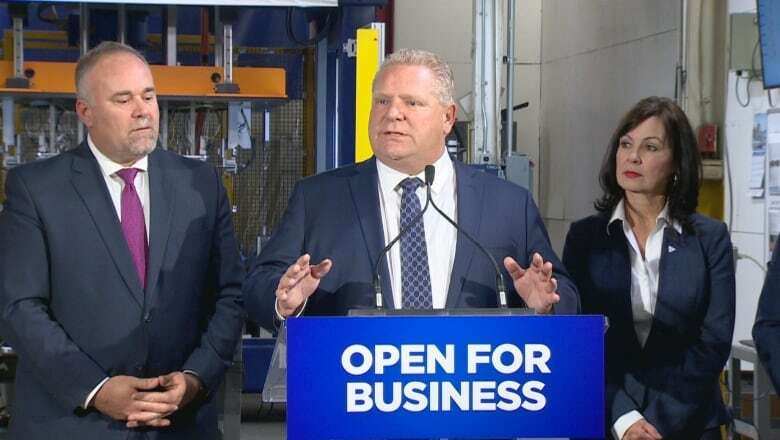 "By modernizing Ontario's licence plate and how it is made, Ontario taxpayers will save millions of dollars each year," said the senior government source. The official said the redesign cost is "a mere fraction of the savings taxpayers will receive from our wider plate modernization process."